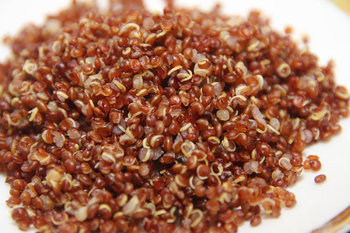 Quinoa is a crop that primarily grown for its seeds which are edible in nature. The crop is highly popular and appreciated for its nutritional value. It is often called as ‘’super food because it provides all types of proteins for your body. Apart from its good aspect regarding the nutritional value, it is advised that, if you are suffering from allergies from grain products then utmost care should be taken in trying out Quinoa. Generally it is not regarded to be highly allergic food, but it may possible that a new food to your body may cause allergy. Besides these, due to its high nutritional value, it is better than other grains that are gluten free and hence highly recommended to the people suffering from celiac disease or Gluten allergy. Most of the allergies lead to trigger similar reaction in your body. Some of the possible symptoms of Quinoa allergy are associated with the skin inflammation and other complications such as sinuses, digestive tract and lungs. Symptoms such as tightness of chest, difficulty in breathing and wheezing along with swollen of lungs are also the possible symptoms seen in patient having allergy to quinoa. When the sinuses increase it may possible that you will also experience sinus headache, congestion and sinus pressure. Quinoa can also lead to gastrointestinal reactions like stomach pain, vomiting, diarrhea and nausea. While slight allergy to Quinoa can be treated by oral anti-histamine while severe complication needs an epinephrine injection. It is better to seek advice from your allergist for more detail because almost all allergies have similar reaction and its need not that you are suffering from the Quinoa allergy.